A very fine early Victorian inkstand with a refined decoration of mother of pearl and silver on a background of tortoise shell. 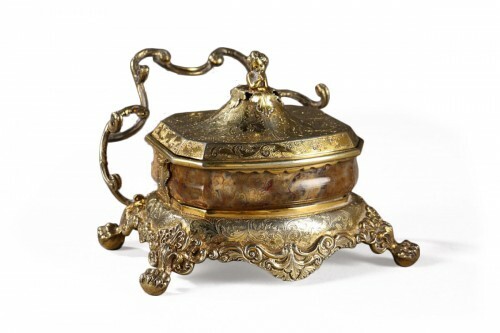 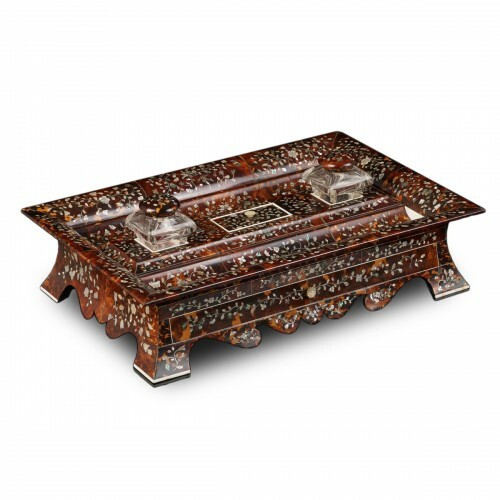 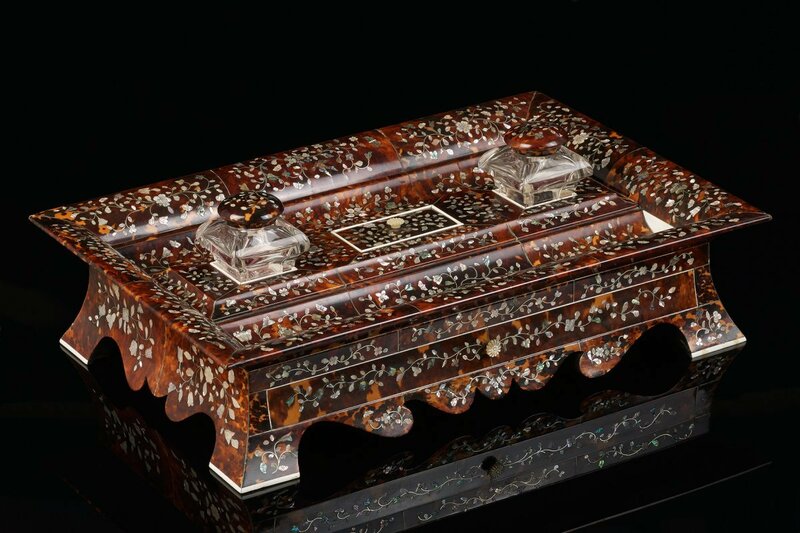 The inkstand contains two crystal inkwells with lids that match the overall decoration. 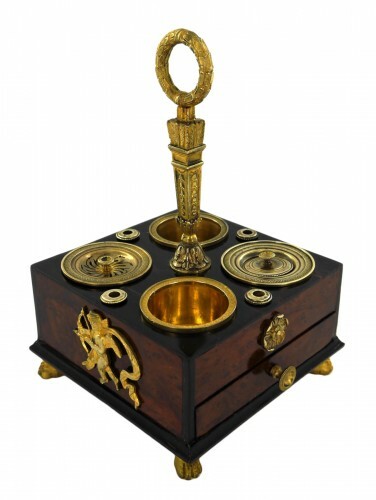 In-between the inkwells sits a lidded compartment to store spare nibs. 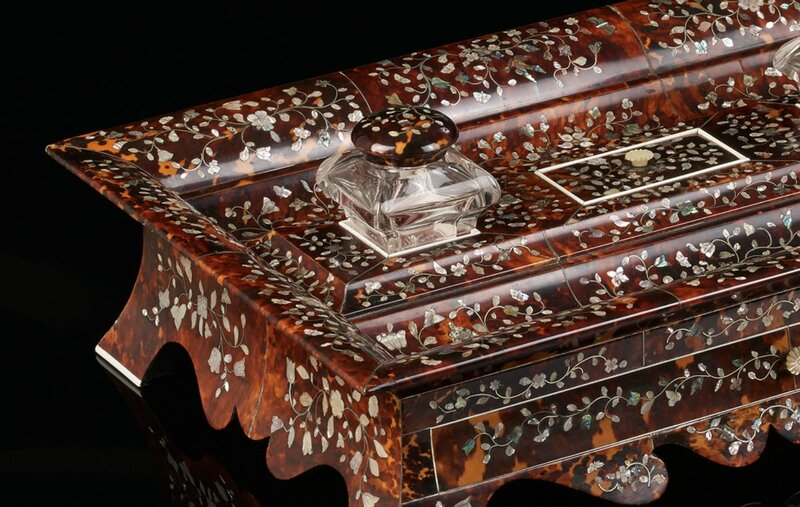 At the front a narrow drawer in solid mahogany with a mother of pearl knob shaped like a flower. 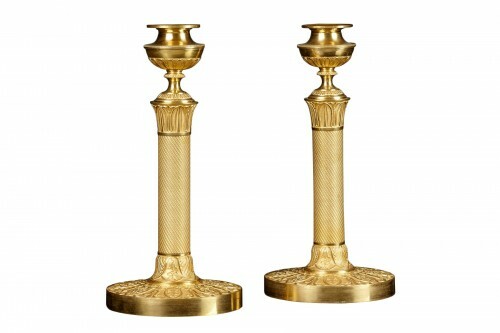 Commonly these type of objects did not bear a signature or marking. 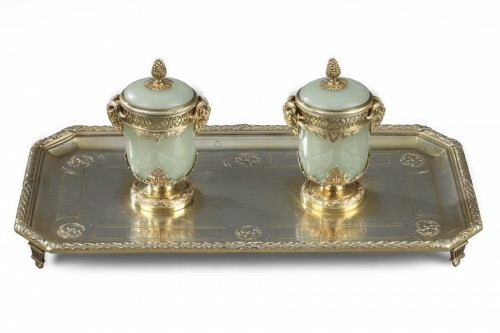 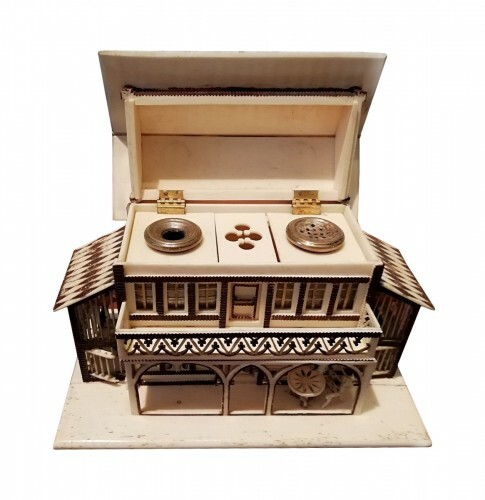 In London, however, a father and son firm called Thomas & William Lund of Cornhill, was established in 1804, that was renowned for its tea caddies, inkstands, and jewelry boxes. 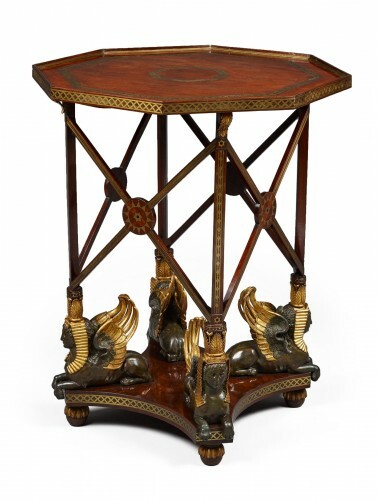 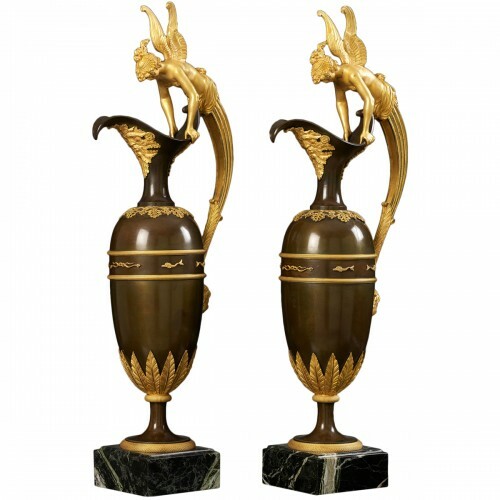 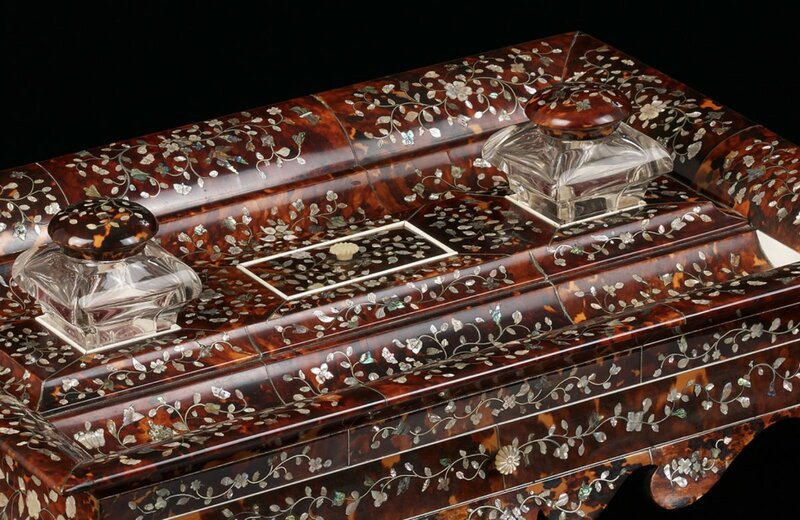 Their objects were characterized by their refined finishing with silver, tortoise, and ivory accents. Also, a great number of similar objects originated from Birmingham, where companies manufactured goods with mother of pearl inlay on a tortoise shell base, that were delivered to stores in London. 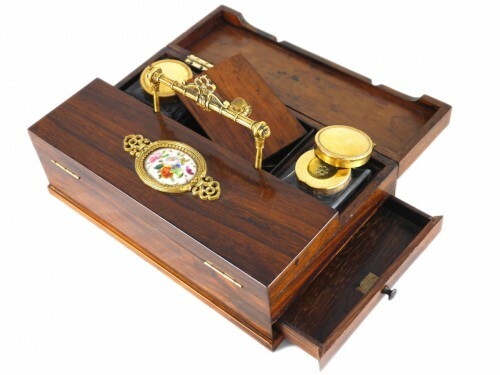 Three of these companies presented their products at the Great Exhibition of 1851; Richard Peters & Son, H. Chatwin, and John Hayden, which corroborates these assumptions.